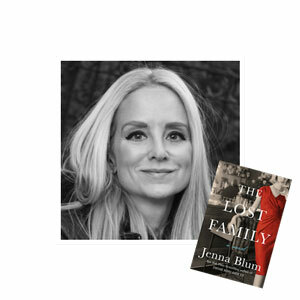 In The Lost Family, author Jenna Blum explores how tragic grief and loss can impact a family for generations. Years have passed since Peter Rashkin, chef and restaurant owner of Masha’s in New York City, suffered torture and degradation in Auschwitz at the hands of the Nazis. He lost his wife, Masha, and young twin daughters during the Holocaust. After the war’s end and his arrival in the United States, he rebuilds a life haunted by his loss. From each family member’s point of view, readers learn about three decades of the Rashkin family, beginning in 1965, with Peter, his second wife June, and their daughter Elisabeth. Blum tells a story of how deeply woven relationships can impact everyday lives without family members realizing it. She breathes life and believability into these complicated characters as she includes the mundane thoughts and activities of everyday life, while detailing the intimate and powerful emotions of their relationships. The loss of Peter’s first family impacts each of them in ways that they either refuse to discuss or cannot recognize in themselves. This is an excellent character study of how the tragedy of the Holocaust lives on, even to this day. The damage done by the Nazis was not only death and destruction of the Jewish people of the time, but an indelible stain on the lives of all who have lived afterwards, a stain on the world so deep that the true impact of the tragedy may never be known. Blum has created a beautiful novel exploring the intertwining of both love and loss. Jenna Blum will be at the Sandler Family Campus on Tuesday, November 27 at 7:30 pm as a guest author during the Lee andBernard Jaffe Family Jewish Book Festival. The Book Festival runs through December 2 and features a variety of authors and programs. For more information, visit JewishVA.org/book-fest. Lynn Woods is a retired middle school teacher and a volunteer with the Holocaust Commission.